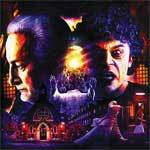 The Exorcist III isn’t a great movie and can’t touch the original, yet it’s a big step up from the awful sequel and the performance from Brad Dourif and to some extent George C. Scott, is well worth the price of admission along with some genuinely creepy/scary scenes. Paul Schrader’s drama is disturbing and excels both with the writing, also by Schrader, as well as powerful performances from George C. Scott and Peter Boyle, even if for the former it might not make the list of his top 5 roles, but it’s harrowing nevertheless. 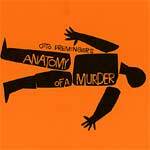 Anatomy of a Murder is a very well made courtroom suspense-drama thanks in large part to a well put together selection of actors. James Stewart continued his streak of wonderful performances while the story manages to hold its own throughout the duration of the lengthy running time. The Blu-ray in the meantime has excellent video and audio transfers and the features have some informative featurettes/interviews.